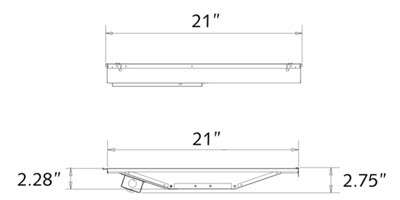 LED 2x2 door frame troffer light retrofit kit is a complete set of components that allow you to convert 2x2 foot fixtures to an energy saving LED. Simply change out the door frame and get a whole new light. You can now take an old T12 or T8 light fixture to a LED fixture with maintained light levels and reaping all the energy savings of over 60% over the system you have now. It will replace existing linear fluorescent troffer fixtures using the existing housing and simple replacing the door frame. Using high-quality, energy saving LEDs, this fixture is will last much longer than fluorescent lighting and provide better light output. 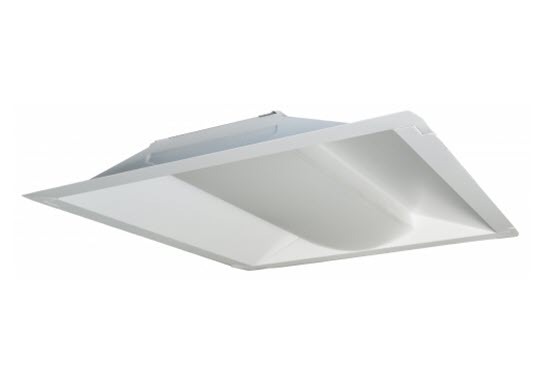 Suitable for recessed commercial and institutional applications such as offices, hospitals, schools and more. Replaces prismatic lens on standard fluorescent troffer fixtures to create a modern & efficient office environment. Replaces door frame & lens of traditional fluorescent flat- lens troffer fixtures. 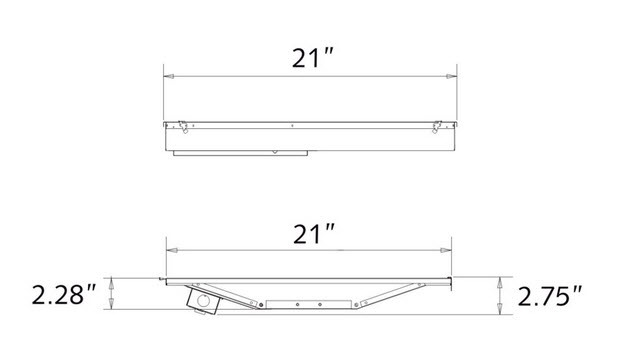 No need to remove old fixture; simply remove and discard the door frame of the existing fixture; place 2 adapter brackets (included) in the existing fixture; hinge this retrofit unit to the fixture; disconnect the ballast; connect the wires to the retrofit unit and close. - Input Wattage: 40 watts. - Light color 3500K, 4000K, or 5000K daylight. - 50,000 hours life at L70.